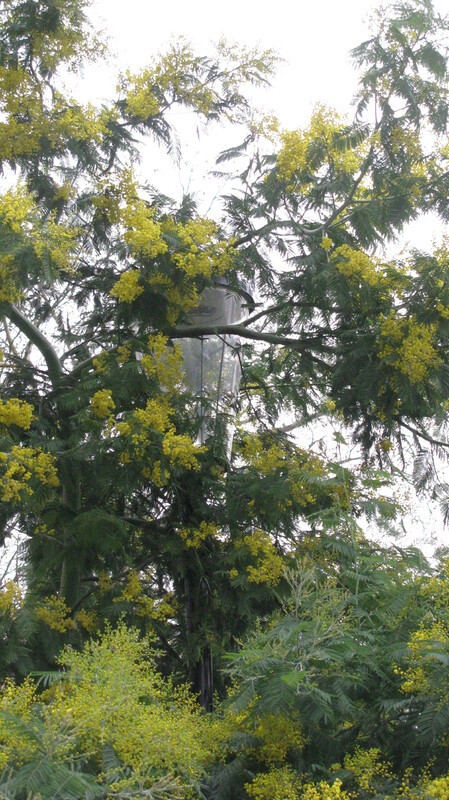 The other day I wandered by the mimosa tree that I recently discovered in my neighborhood. I was worried that the last two snowstorms would destroy the wonderful yellow flowers. However it is still blooming! Every time I see these yellow flowers I can’t help but smile. I am so looking forward to spring. This entry was posted in Random and tagged England, London, Mimosa Tree, Mimosas, Snow, Spring, Spring Flowers, Yellow Flowers. Bookmark the permalink. I was relieved to see that it was still blooming. The tree is too pretty to forget. I’m glad you liked it Nia. Gardenias remind me of my childhood. We had one in our entryway to our home and every time I smell Gardenias I am reminded of my home and of the happy feeling of walking in the front door. Yay! 🙂 That’s a great news. Surviving green is even more beautiful! I was happy to see all of it. Wow that is blooming in Feb? Is that normal? We just got a beautiful coat of snow ! I don’t know if it is normal since I’m new to London, but it seems early to me. The winter here has been mild. Thanks Robin. I am as well. Can you believe it? This plant is blooming right now in February. I was amazed when I spotted it. You were a big part of the process! Couldn’t have done it without you. I’ll try to send spring weather your way, but I usually find my powers are useless. I used to try to conjure up a big snowstorm before tests in school to have a snow day. I failed each time. How lovely! Glad it survived. Didn’t know it was that big! It does seem huge. I wonder if it will get bigger. Thanks. I think so as well. Glad it survived! Plants can be amazingly resilient! They are amazing. Nature usually astounds me though. Thank you Klaus for the kind words. They are beautiful flowers. I wish you a wonderful day. Amazing… He made it. I’m glad. It’s a real beauty. On Monday caranval starts. Carnaval in Basel is, I think of the top 10 in the world. 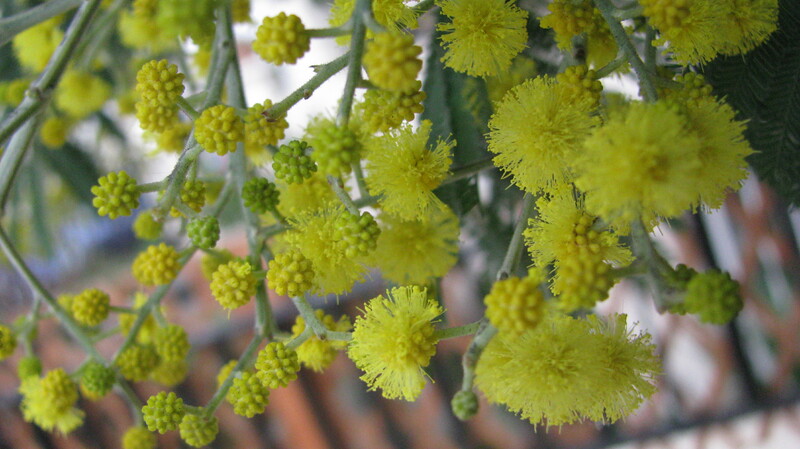 It’s a huge thing – mimosa are one of the features, people throw them from the waggons and buy them. I found this link for you, you might enjoy and you can also see the mimosa. That looks like a ton of fun. I’ll have to remember this event in the future. I would love to witness it myself. It really starts at 4 in the morning? That’s amazing. Yes it does and in the whole town all the lights have to be turned off. Many people party until it starts. I think it is nice in the evenings, very melancholic when there are just pipers in the dark alleys of the old town. Since the old part is Medieval it’s quite nice. I will have to keep this in mind when planning trips in the next couple of years. Thanks for the information. I had never heard of it before, but it sounds like a fun time. And it is always easier for me to get up and out the door to have fun. If I had to get up that early for work I would grumble the entire time. But to enjoy life, that is a different matter. I know. I just got back from my afternoon walk with my dog and I was amazed by the weather. It is so beautiful out. I love it! So this is where mimosas come from. I’ll have to bring my champagne glass! These are spectacular – drops of sunshine! I love how you put it, drops of sunshine. Thanks! All the best for you project. I would like to read about your progress and updates. Keep going !! I can understand why you wouldn’t want those beautiful flowers destroyed. Such beauty there! I love them and thank goodness they are stronger than they look.